I am in the town of Najera in the province of La Rioja. I have just completed the first quarter of my walk along the Camino de Santiago (200 km). So many of you have expressed enthusiasm, interest and curiosity about the Camino, some asking me to write more…. Well, I will write from time to time, but in the meantime, I have a suggestion. 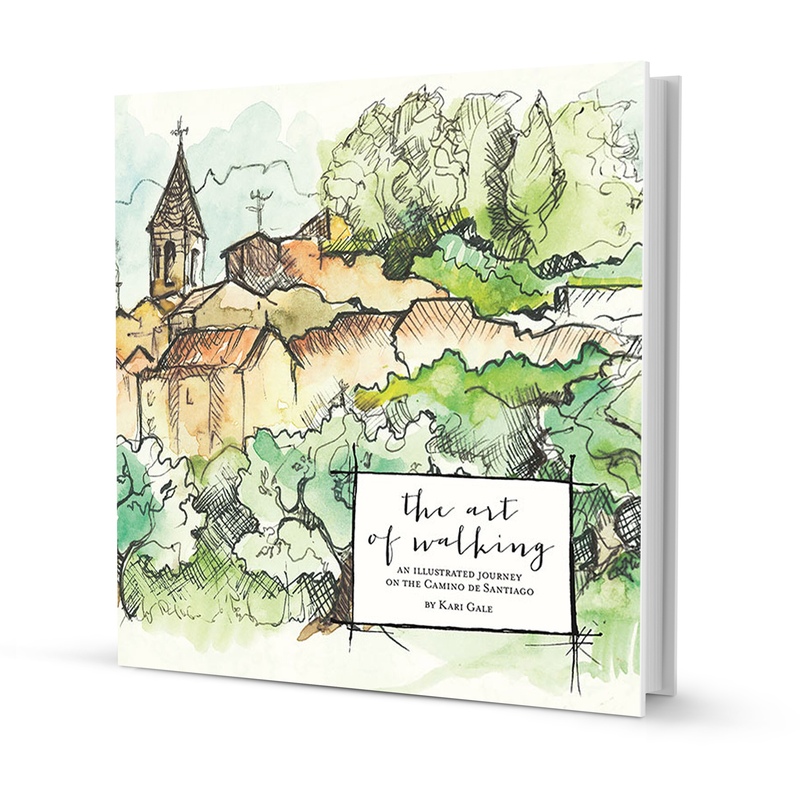 Go slake your Camino-thirst by treating yourself to “The Art of Walking: An Illustrated Journey on the Camino de Santiago” by Kari Gale. These reflections are artistically satisfying and are true food for the soul. Kari’s words helped me to prepare my own journey on the Camino. 😘 Thank you friend and fellow pilgrim . You come to mind often and I imagine what you are seeing and experiencing. Look forward to hearing about your journey face to face.